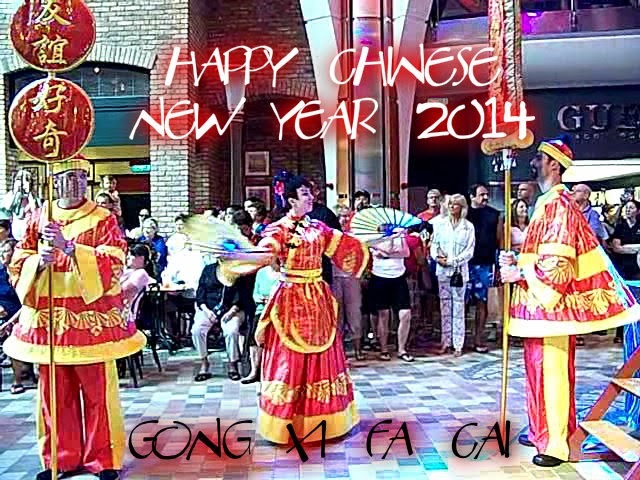 January 31st marks the beginning of the Chinese New Year celebration which actually runs for 15 days. This is the year of the Horse. The horse is part of a 12-year-cycle of animals that make up the Chinese zodiac. People born in the year of the horse have ingenious communicating techniques, are clever, kind to others, and like to join in a venture career. Although they sometimes talk too much, they are cheerful, perceptive, talented, earthy but stubborn. In Chinese culture, the Horse is a symbol of nobility, class, speed and perseverance. The Year of Wooden Horse, which deals with fire, wood and energy follows the Year of the Water Snake. Wood is related to tree or green. 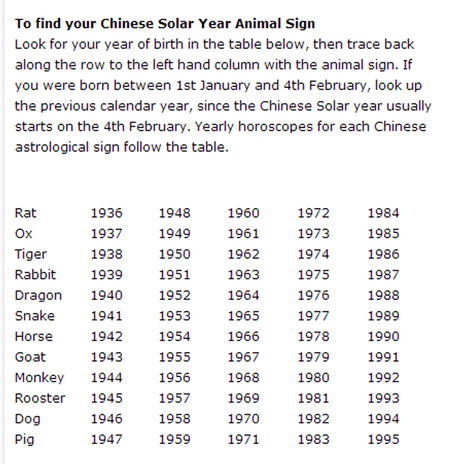 Therefore, 2014 is also called Year of Green Horse. 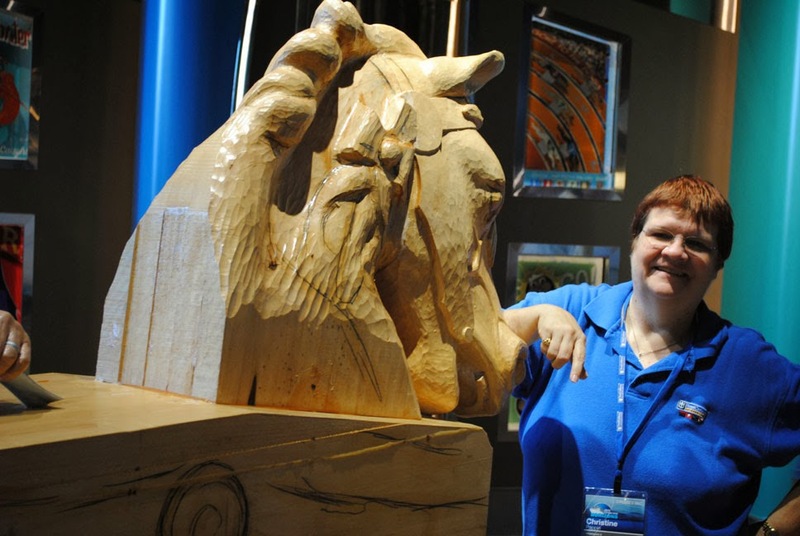 In looking through our images, we found this wooden horse which you can pose with on the Allure of the Seas. 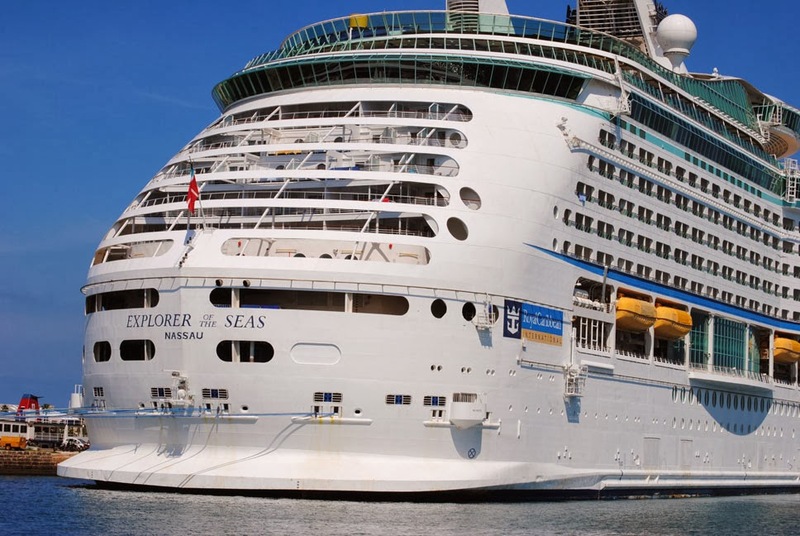 Royal Caribbean Cruise Line has terminated the current 10-night voyage of the Explorer of the Seas two days early to allow the ship to undergo a "barrrier" cleaning at its homeport of Cape Liberty. This follows several previous attempts to clean the ship in hopes of stopping the spreading of Norovirus, a gastrointestinal illness, that start affecting passengers and crew last week. More than 500 people became ill. Despite what the news media may lead you to believe, this isn't just a cruise ship issue. We encourage you to read this entire article and refer to the links to be well informed. The first inclination when you hear about an outbreak would be to blame the cruise line. Clearly, they have let you down - you expected a healthy cruise, and you got sick. . The cruise line is responsible - right? 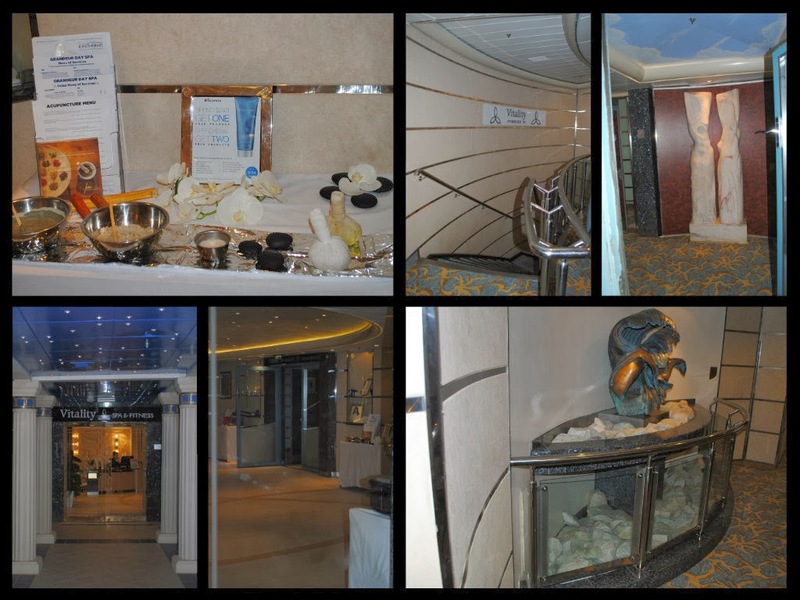 The cruise line IS responsible for cleaning the ship and providing the facilities for passengers and crew to maintain proper hygiene onboard the ship. They do that - you'll notice signs posted in all the rest rooms and crew members pointing out sanitation machines, such as the one in the picture above posted outside the restaurant entrance. But, ladies and gentleman - I suspect that YOU share some BLAME. Did you stop to wash your hands after using the bathroom? 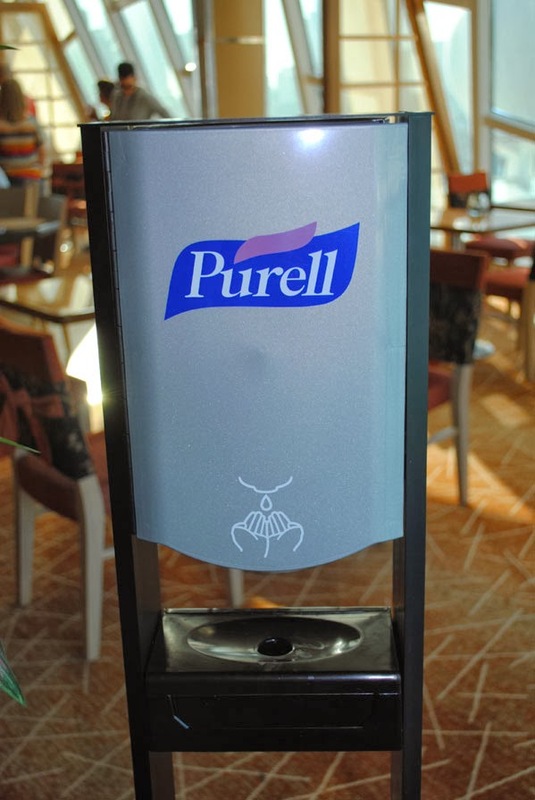 Did you sanitize your hands every time you entered a restaurant onboard the ship. Did you do so all but one time? That one time would be enough to kick off this sort of outbreak. On two recent cruises onboard Disney Dream and Carnival Sensation, we noticed the sanitizing materials and signs. We also noticed many passengers disregarding the signs and avoiding the sanitizing of their hands before entering the restaurant. Working together, the cruise lines and passengers could Prevent Norovirus! Wash hands often. Wash hands after using the bathroom or changing diapers and before eating or preparing food. 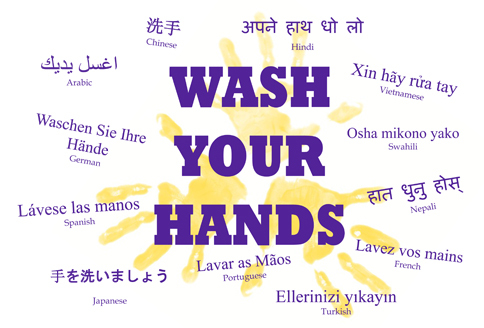 Use alcohol-based hand sanitizer along with hand washing. 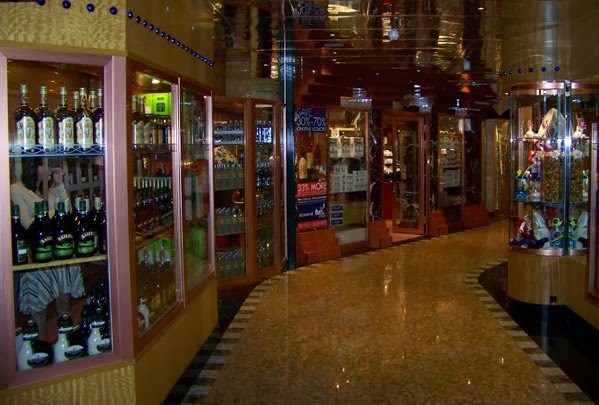 Norovirus outbreaks, when they occur on a cruise ship, always make the news. The truth is these outbreaks can occur anywhere there are groups of people in a small area such as nursing homes, restaurants, catered events, hotels, and cruise ships. All Explorer of the Seas passengers will receive a 50 percent refund of their cruise fare, as well as an additional 50 percent future cruise credit. Passengers who were confined to their cabins by the illness also will receive a credit of one future cruise day for each day of confinement. Royal Caribbean also will reimburse airline change fees and accommodations for passengers whose travel home was impacted by the ship's early return to port. 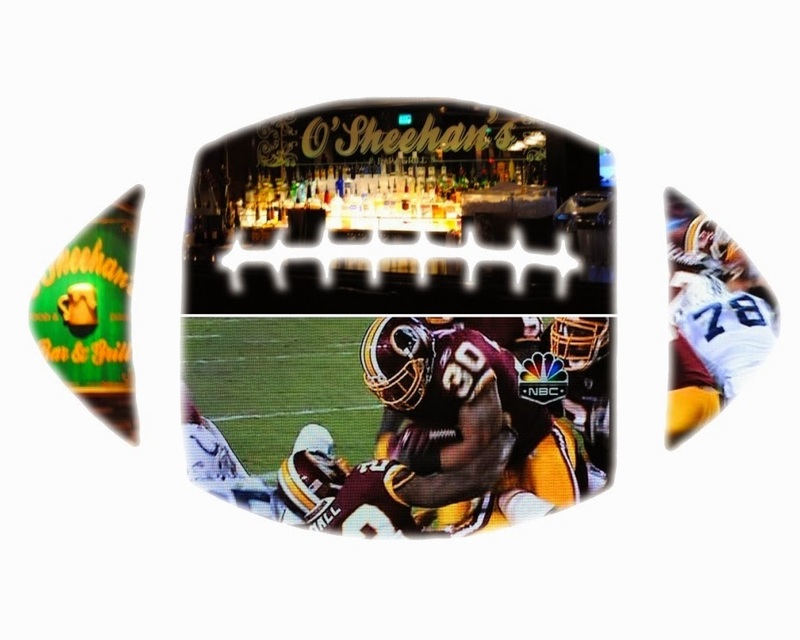 Where Will You Watch The Big Game Next Sunday? 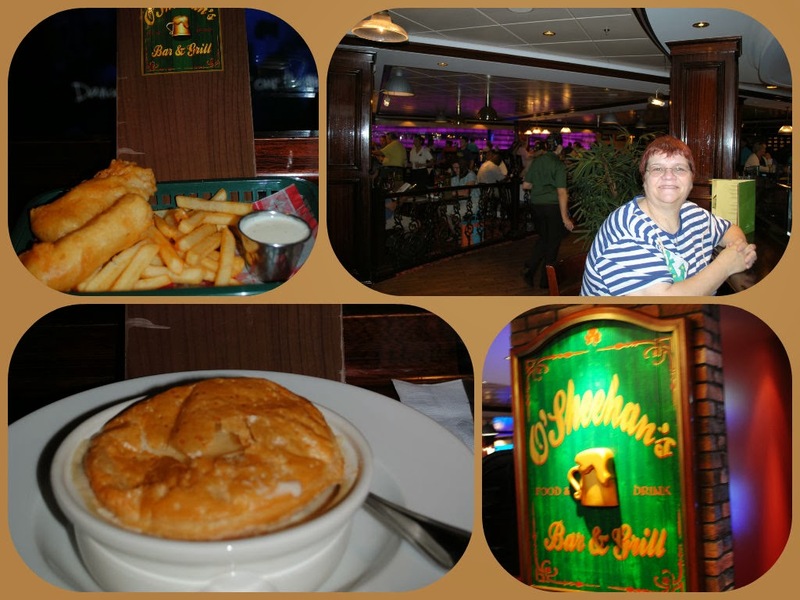 Norwegian Cruise Line introduced O'Sheehan's Bar & Grill on Norwegian Epic, about three years ago, and also included it on the new Breakaway-class ships as well. This central point gathering spot has become so successful that the line will be expanding the option fleet-wide. "O'Sheehan's has proved to be such a center point of the ship, for people to gather and socialize, that we have decided to put it on all the ships." With it's two story big screen TV, it is the perfect spot on the ship to gather for the Big Game or any other broadcast entertainment throughout the cruise. No doubt it will be filled to over flowing this coming Sunday as the Broncos and Seahawks meet on the football turf to do battle. Food and drink will be flowing as fans cheer on their favorite team. After the game there's plenty of entertainment so no need to head off to another venue if you don't want to. Of course, since this is centrally located on the ship, you can easily get around. Select from a menu of comfort food options along with your favorite beverage for the perfect meal any time during your cruise. Shown here was our selection of Fish 'n Chips and Chicken Pot Pie which were both very good. 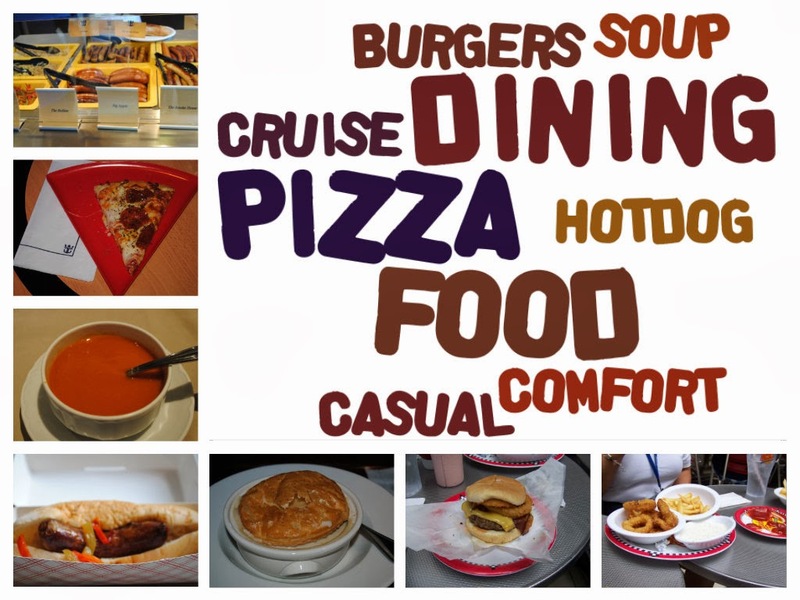 The menu might change from time to time, so be sure to find your own favorites and let us know what you ate. 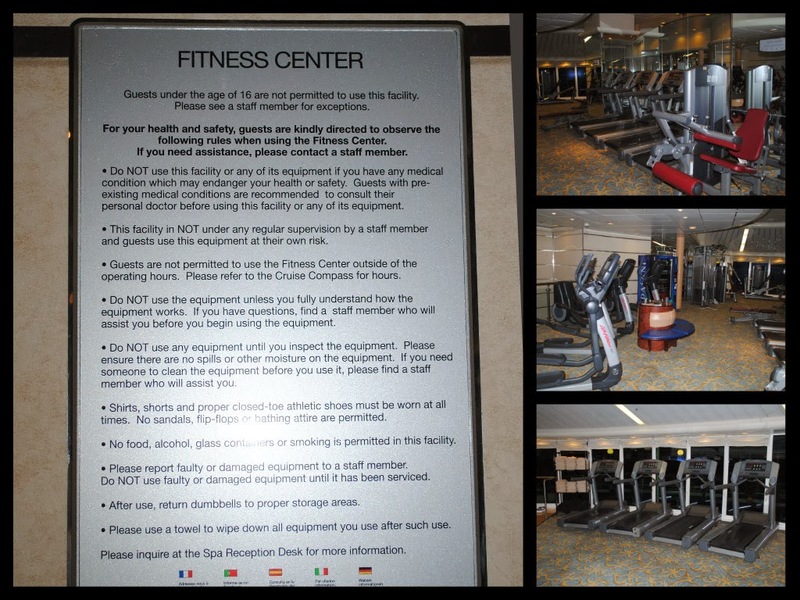 We've included images from both Norwegian Epic and Norwegian Breakaway here. 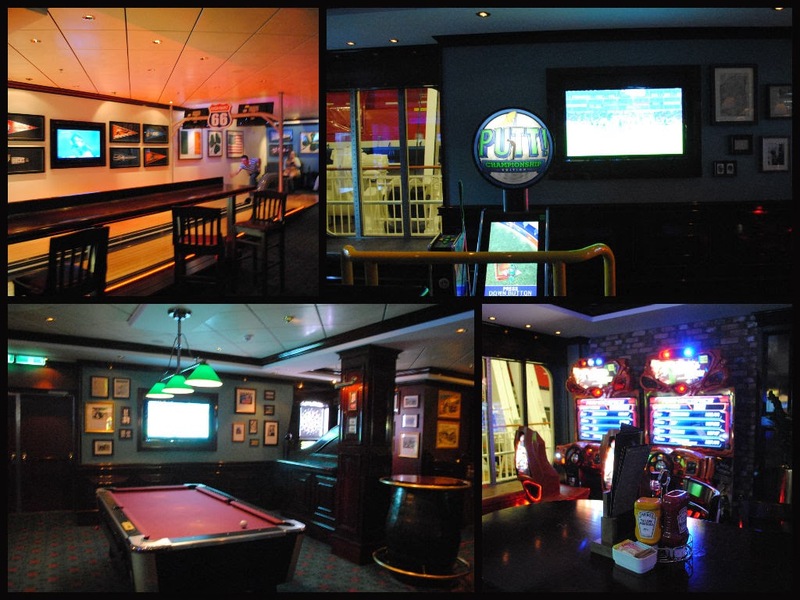 Common to both are billiards and bowling as well as various video arcade games. There are tables spread around along with additional TV screens so that you can enjoy some entertainment and not miss the action of your favorite sports team. 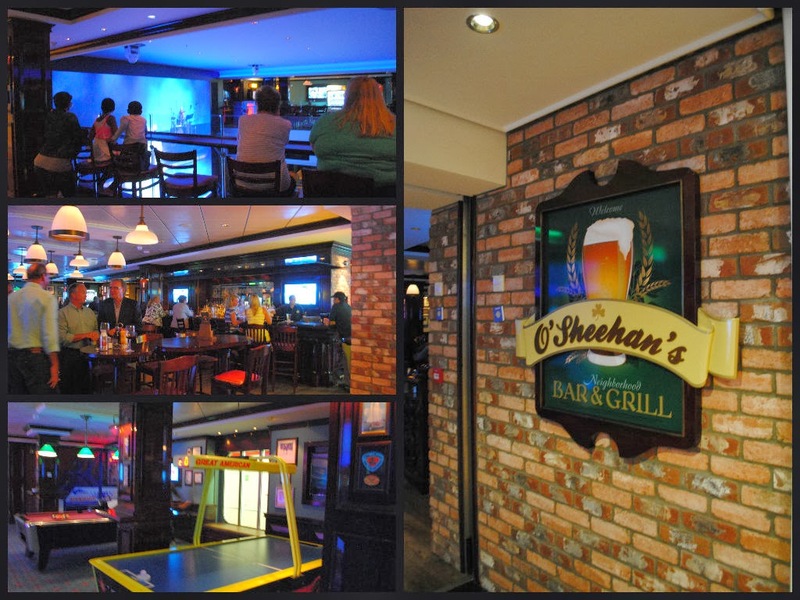 The addition of O'Sheehan's Bar & Grill on the entire fleet will be a fantastic improvement. In addition, the line plans to relocate Moderno Churrascaria,the popular Brazilian Steakhouse, adjacent to Cagney's, the lines popular steakhouse. The U.S. Department of State updated a Travel Alert today for U.S. citizens planning to attend the 2014 Olympic Games in Russia that they should remain attentive regarding their personal security at all times. The alert replaces the previous one and provides updated information on reported threats against the Games. Full information about the Olympic and Paralympic games for U.S. citizen visitors is available on the Sochi Fact Sheet and the Country Specific Information for the Russian Federation on their website, travel.state.gov. The Department strongly recommends that all U.S. citizens residing or traveling abroad enroll in the Smart Traveler Enrollment Program (STEP) in order to receive pertinent safety and security information. Anyone Else Thinking About Escaping to the Warmth of Alaska? Wave Season is in full swing now and thoughts turn to warmer climates and those where it isn't snowing. 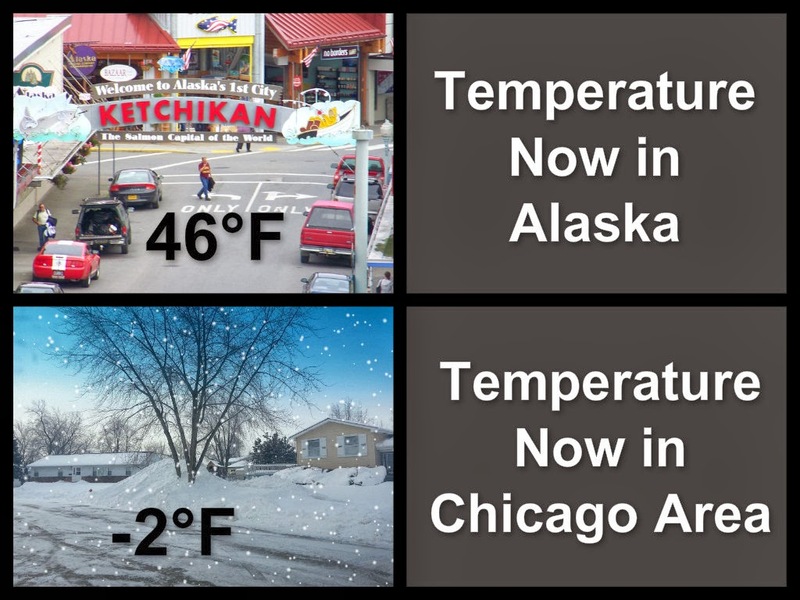 Usually one would exclude Alaska from the list of candidates, but ironically when we checked the weather tonight, we found that Ketchikan was in the mid-40s at 9:30 PM while our temperatures had fallen below zero. Tonight's newscast featured arctic temperatures in our region, up to 2 feet of snow for those unlucky enough to be near the lake front, more cold, and more snow still on the way. This weather isn't limited to the Chicago / Indiana area, but also extending to the East Coast where a new snow storm cancelled flights and caused nightmares for those trying to travel across the country. When our guests book their trip with us, we highly recommend they purchase travel protection insurance in the full amount of their trip. We've heard all the reasons why that doesn't seem to be necessary - "there's no way we aren't going on this trip - we've planned for it so long" is a pretty common one. Tell that to the people spending the night at O'Hare International or one of the other major airports across the country as this bad weather grounded or delayed flights. Hopefully those stranded will be able to get out tomorrow and still be able to continue their journeys. If that flight was taking them to their escape from winter weather at some Caribbean resort or cruise vacation, odds are they are now in need of assistance to somehow join that trip now in progress. Hopefully that have a passport because they may now need to fly into a foreign port and their birth certificate and driver's license will no longer suffice (for those on closed-loop cruises, technically you don't need a passport, but we always suggest you have on). 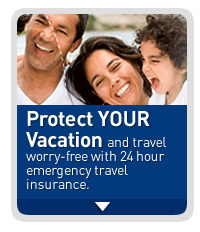 You may never need to file a claim or call for assistance, but the intangible benefit to travel insurance is that when it counts the most, when you are in need, you have someone to turn to for assistance. You aren't alone in a "sea" of stranded travelers anymore. You have the ability to "phone a friend" or "use your lifeline" in the words of a popular game show. If the weather is bad in your area and you don't need to travel, stay home - warm and safe. For those trying to get to their vacation destination, we hope that you'll be able to do so and also that you had assistance so that your vacation isn't ruined. Today we joined #TRAVELPICS chat on Twitter for a fun packed hour exchanging ideas and travel photos with like-minded posters. The theme was “unique perspectives” and participants shared their own travel pics about the theme and answered per-arranged questions. Q1: How do you define unique perspectives in travel? 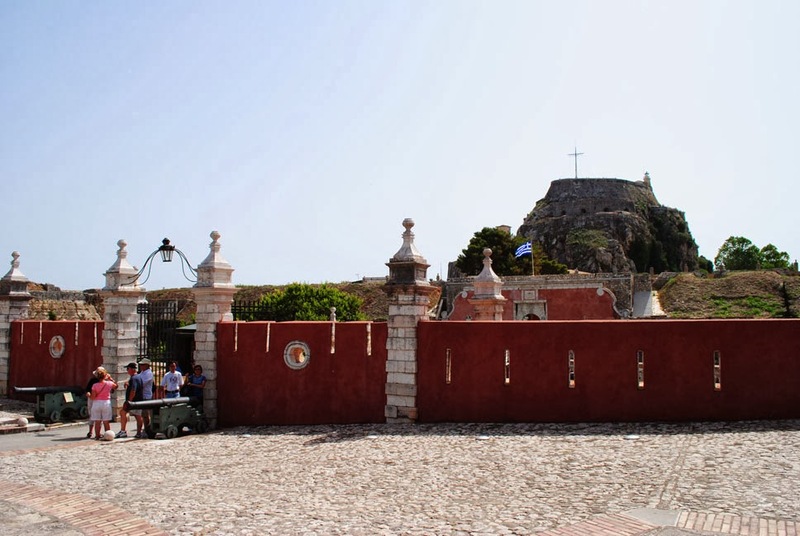 The main subject in the two images above is the Old Castle in Corfu, Greece. We think that you'll agree the first photo could be a typical photo showing the castle from a distance. It does capture the main subject, but isn't a very interesting photograph. 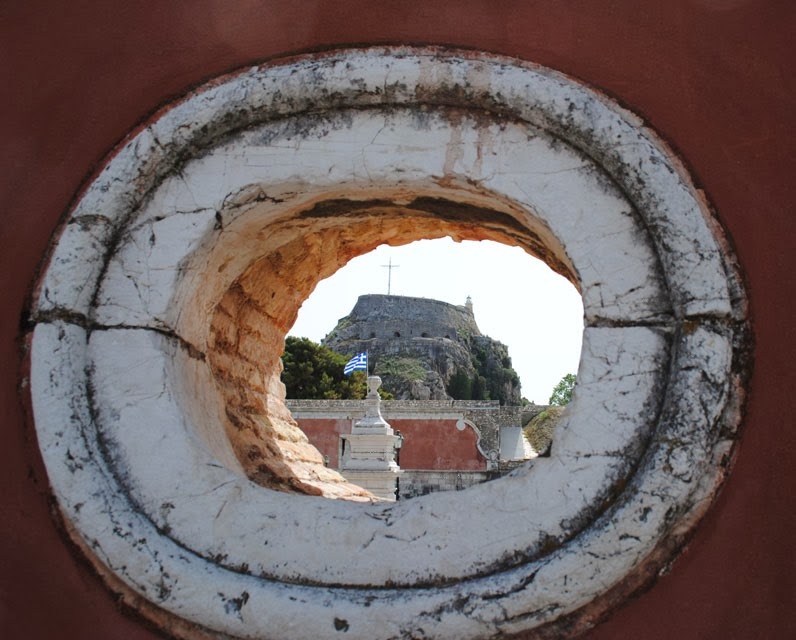 If your purpose is simply to document one of the sights seen during your Corfu visit, it would suffice. The second image however is much more interesting to the viewer. Your eyes are drawn to the main subject, the castle, and you also have the feeling of being outside the castle's gates, trying to look inside. You are suddenly back in history when the castle fortress was full of life as it stood guard over the town. Q2: Show us a unique perspective in a travel photo using different interpretations or unusual viewpoints-no right or wrong here! This was one example we shared. 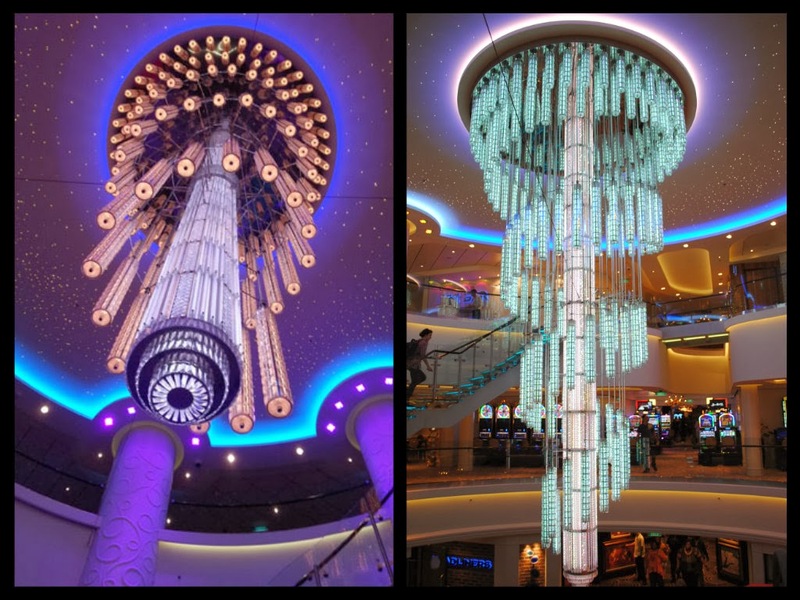 The images were both captured during our National Conference on Norwegian Breakaway last fall. The image on the right could be a typical photo taken by every cruise passenger on the ship. The image on the left was once again from a different vantage point. We captured it by accident. While waiting for the rest of our group to catch up with us, we looked up and saw how amazing the chandelier looked from this vantage point. So, quite simply, don't forget to look up for subjects to capture in your images. Q3: Do you have any unique perspective or advice when it comes to traveling differently? Share it! Some of our more interesting images use archways and doors to frame our subject. Some of our self-directed photo assignments have been to capture interesting doors across the globe and also lamps, such as those on castles or outside historical locations. If you are like most leisure travelers, odds are that you'll visit a location multiple times in your lifetime. 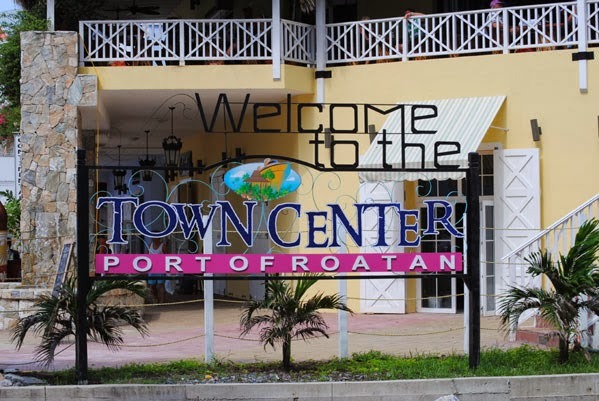 For those that like a winter getaway on a cruise ship, you'll probably visit several ports in the Caribbean many times. So what do you do when you find yourself back in a town you've visited before? You can seek out new attractions or shops to visit, or you can view the familiar sights differently. For example, find a different angle to view them from; look through a doorway or hole in the wall as we have above. If you are able to bend down low, you can view your subject from the vantage point of a child (in other words, from ground level). To get the most out of a visit to either a new or familiar destination, we encourage you to do some research before you travel. You may want to check with your professional travel consultant for ideas about popular attractions as well as those that are off the beaten path. That was another topic we discussed during the live chat. The internet is a wealth of information. Once you know some attractions that are on your bucket list, search for some images that professionals and amateurs have captured. You may want similar images in your photo journal of your trip. We suggest that you add a few more unique perspectives as well. We hope that this has sparked your interest in taking your photography to a new level. Follow the weekly #travelpics chat on Twitter for more ideas on this and other travel topics. We'd love to hear your ideas as well, or better yet, join us for the next chat. We've already talked about how presentation is a key ingredient of the cruise ship dining experience. 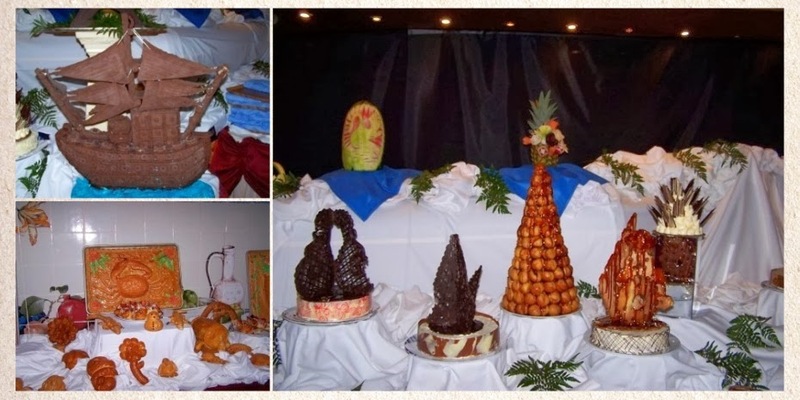 From the time you get onboard the ship and head to the buffet for the first time, to your first dinner at the main dining room, to the evening you dine at one of the specialty venues, the food you eat is on display. Your sense of sight is delighted by the food displayed in front of you each and every time you sit down to eat while on the cruise. The crew spends hours in preparation to make sure that everything is just right, not just the taste, but also the way it appeals to you even before you take that first bite. Did you ever have a plate put in front of you that looked too good to eat? Perhaps when you went to a local diner, they had a display case of desserts just inside the entry way. 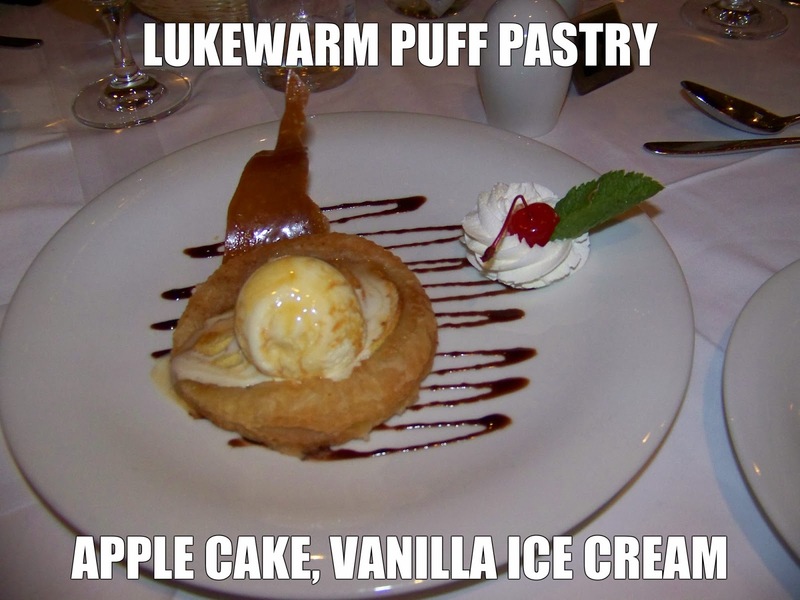 If you are like me, you want to skip the main course somehow and get to those tempting treats that were on display. Norwegian Cruise Line is known for their Freestyle Dining which allows you to dine any time you want (within some boundaries) and at any venue on the ship. Some of the options are included in your cruise cost while others have a modest fee, which is an extra gratuity for the special service and quality of food that you are given. Another thing they are known for is their Chocolate Buffet. 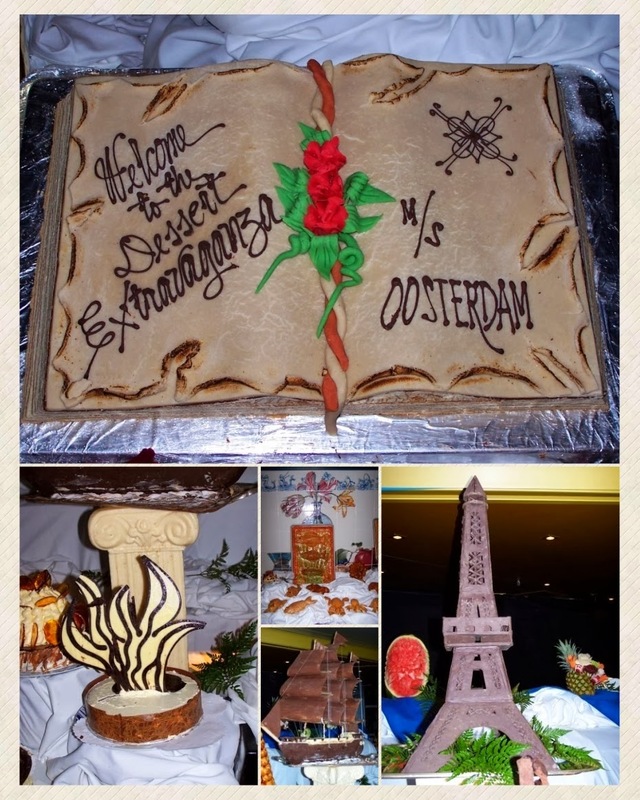 The image above shows some of the creative treats that the crew prepared for us on one of our recent NCL cruises. Next time you are on Norwegian, be sure to find out when that buffet occurs and at least take some pictures. 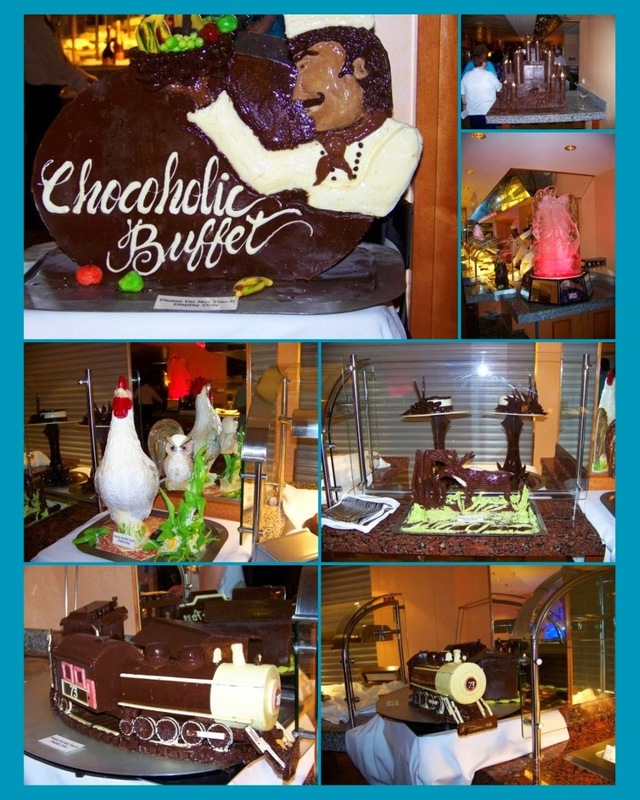 Very similar to NCL's Chocolate Buffet is Holland America Line's Dessert Extravaganza. As the name suggests, dessert items are prepared and put on display for you to enjoy, first by taking pictures, and of course, you can eat until your heart is content. 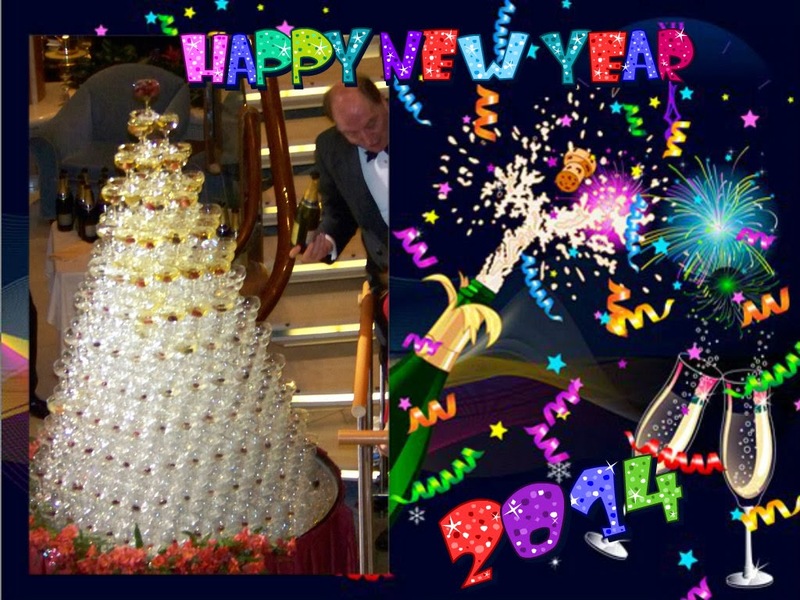 In years gone past, cruise lines had a special midnight buffet which usually had a name like "Grand Buffet". It was held sometime around midnight, which often became one of the jokes of the Cruise Director ("what time is the midnight buffet?"). Thirty minutes to an hour before the official start of the buffet, the main dining room doors would be open to allow for picture taking. With the advent of multistory dining rooms, this was quite impressive, as you would enter from the top level, walk down the staircase which would give you a birds eye view of the entire setup. Perhaps we'll go through our archives and share some of those past memories with you. Do you remember them? Always read your daily paper during your cruise so that you can find out about any special treats thatthe crew has in store for you. The culinary staff is quite talented and they love sharing their handiwork. Several lines have cookbooks that even share some of the recipes. The U.S. State Department reissued their Honduras Travel Warning just before Christmas and we reported this to you in early January (link below). Subsequent to that article, we have learned that a family of 5, husband, wife and 3 daughters, rented a car on their own and ventured off to find a beach which is less frequented by tourists. What they found instead was trouble, as they became the victims of an armed robbery. News of this robbery surfaced on the web as the husband shared his story on the Facebook page "Missing America's Project". According to reports, the family was vacationing on the Carnival Conquest and were not on a ship-sponsored excursion. Fortunately, they were not injured but the car was wrecked, as they tried to flea the robbers. The loan masked robber made off with the family's valuables including cash, iPhone and camera. Carnival Cruise Line provided assistance to the victims once they were back on board. Many crimes that involve cruise passengers are crimes of opportunity. If you read the State Department warning, they indicate that there are significant number of people that travel to Honduras without incident. Of course for this family, that is of little comfort. The warning suggests that you stick to well-traveled (guarded) destinations. That of course is no guarantee of your safety, but statistically it increases your odds. We live in a society where crime is everywhere. 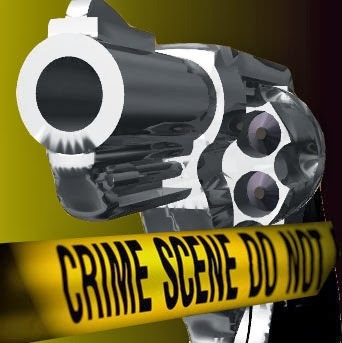 Often we hear about some crime incident where the news media mentions their surprise about where the crime occurred. It can happen anywhere - so the only defense is to take all the precautions you can and be aware of your surroundings. Traveling in groups is another safe practice that is also not a guarantee. Do take time to read warnings and other information prior to your trip. We've shared some specific links for Honduras below. 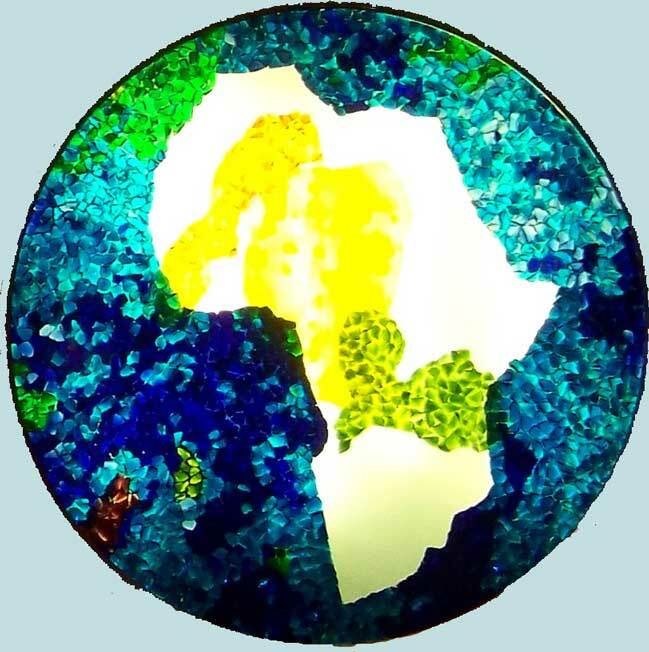 Please consult our International Travel tab above for more links. Emergency Telephone 011-504-2236-8497 or (504) 2238-5114 or (504) 2236-9320, extension 4100. It is customary to have a Captain's Gala Dinner sometime during the cruise. On ocean-going cruise ships this is usually the first formal night. Some cruise lines, like Norwegian Cruise Line, have optional formal nights for those that don't like to dress up. 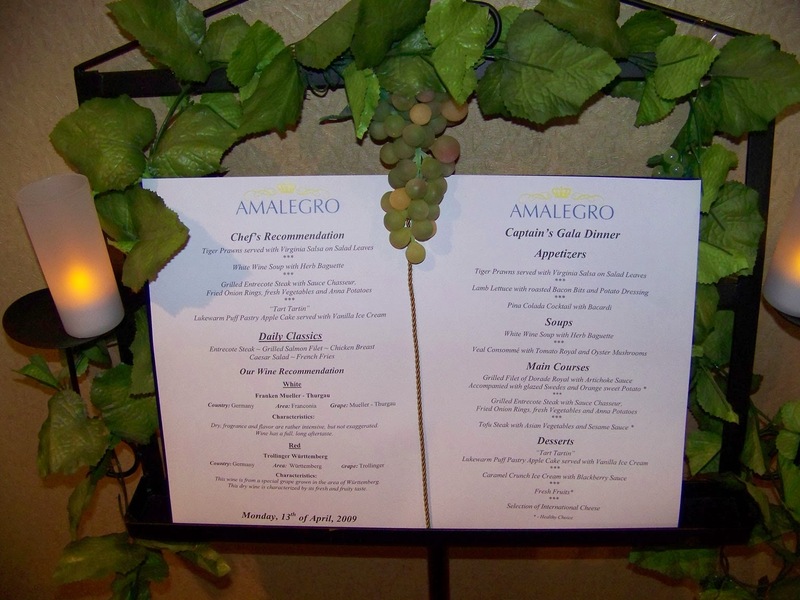 The menu we are featuring in this article was from the Captain's Gala Dinner on AMA Waterways Amalegro during our Tulip Time cruise. The meals were fabulous every night from the appetizers through the desserts, some of which were prepared in front of us. After a full day exploring the sights in port it was great to sit down to some fine dining. Presentation is a key ingredient to the dining experience on a cruise ship or river boat. 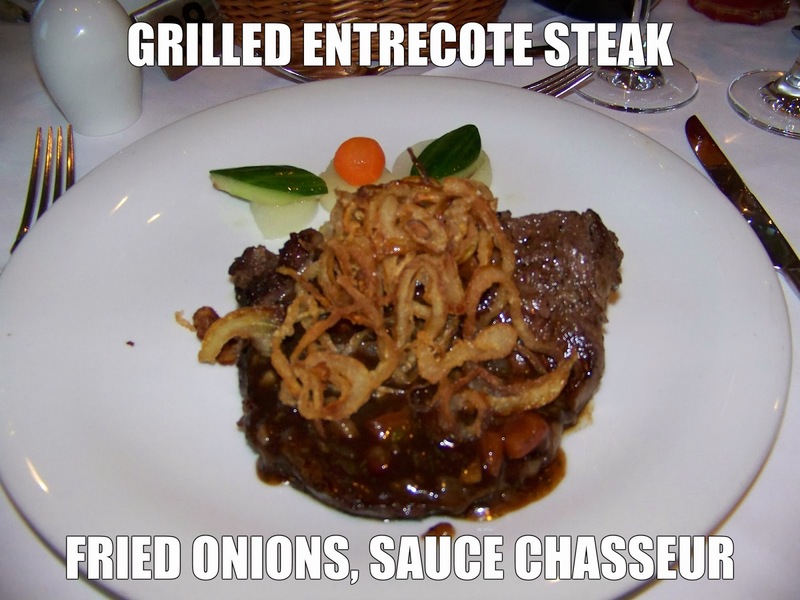 Here is a photo of the grilled entrecote steak entree. 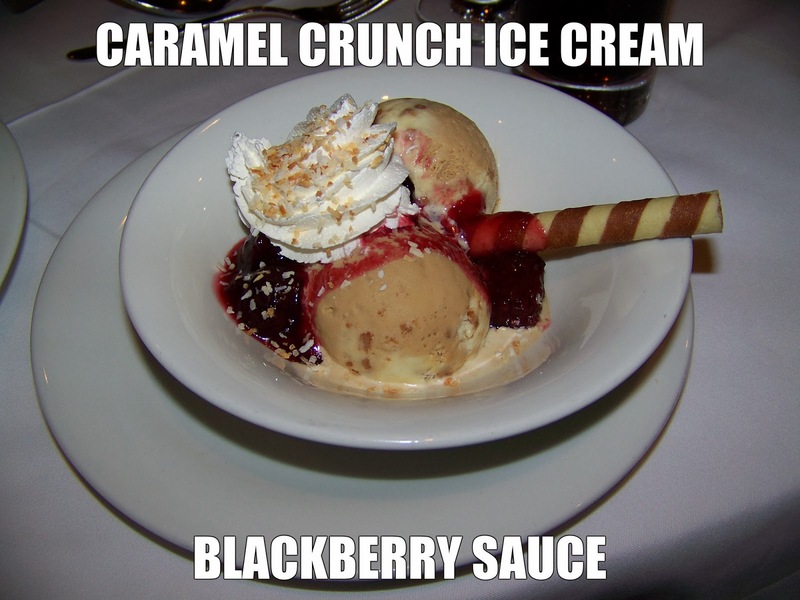 Doesn't it look like it would just melt in your mouth? It was garnished with Fried onion rings, Fresh vegetables, and Anna potatoes. Cooked to order and complimented with sauce chasseur it was one of the best steaks we've had at sea. I think you'll agree that we don't need to say much about these desserts that were on the menu for the Captain's Gala. Once again, presentation is such a key ingredient. For a moment, you might be tempted not to eat them, but then you come to your senses. If you can't make up your mind about what you want to eat, don't worry. You can either ask the waiter for a recommendation or simply order multiple selections. This is a great way to experiment with food you've not tasted before. Developing a water passage across the Isthmus of Panama uniting the Atlantic and Pacific oceans dates to the early 16th century. We won't attempt to cover the history here. Instead, we will focus on a milestone which occurs this year, the 100th anniversary of the Panama Canal and the status of expansion plans to bring the canal into its next 100 years. 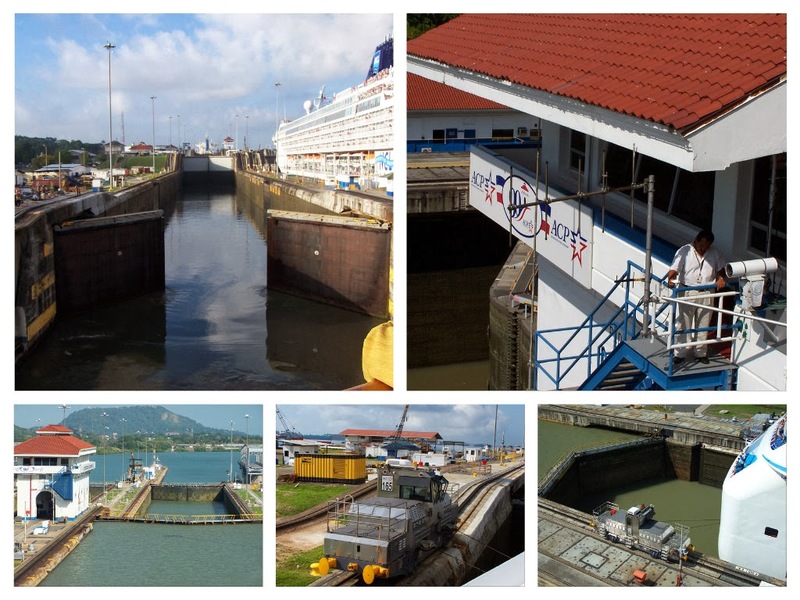 For information on the canal's history, please see the official Panama Canal site. Panamax specifications have been in effect since the opening of the canal in 1914. Ships that do not fall within the Panamax-sizes are called post-Panamax. Currently ships that are a maximum of 965 feet long and 106 feet wide (beam) can pass through the canal. That typically means the older and smaller ships in a cruise lines' fleet are the only ones that can make the transit. 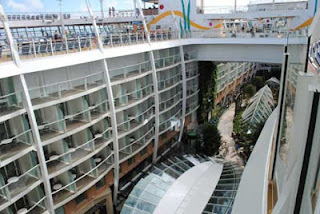 Ships like the Allure of the Seas or the Solstice-class ships are not among them. The new locks would open up possibilities for the larger cruise ships to complete the transit. There are four major parts to the expansion plans. The purpose of the expansion is to enable post-Panamax vessel transit of the canal. Each lock will have three chambers and each chamber will have three water re-utilization basins. For complete details about the plans, see PANAMA CANAL EXPANSION PROGRAM MARCH 2013 (PDF). Overall, the Expansion Program is 72% complete and at this time, is expected to be open to commercial transits in the second half of 2015. The contractor for the new locks, Grupo Unidos por El Canal S.A. (GUPC), is currently threatening a work stoppage due to $1.6 Billion in cost overruns. The ACP, the autonomous agency of the Government of Panama in charge of managing, operating and maintaining the Panama Canal, has proposed advancing $100 million to GUPC to allow the contractor to tend to its pending obligations. The contractor must guarantee these funds through a letter of credit. In addition, ACP is willing to extend for a period of two months the moratorium for the repayment of $83 million in advances by GUPC. These would give an additional $83 million for GUPC. Here is a video published by the ACP describing the Panama Canal Expansion project. Tomorrow marks the two year anniversary of the Costa Concordia disaster in which 32 people lost their lives, many more were injured, family and friends were devastated, the world watched and the cruise industry was impacted forever. The image above is a live feed from the salvage site. It shows the Costa Concordia, now righted, awaiting the next phase of the salvage operations. Tanks must be put in place so that they can be filled with air to raise the ship off the sea bed. The ship has been winterized and nothing will be done until April. View these amazing images of Costa Concordia today. The parbuckling phase of the salvage operations has been successful, with the Concordia now upright. The next phase will be to re-float the ship so that it can be removed. This is expected to be completed in June this year barring any unforeseen weather or other delays. Eight ports are bidding for to be the site of the dismantling of the ship. In addition 12 companies are bidding for the job of breaking up, scrapping and recycling the vessel. Total cost of the operations is expected to be €600m (£496m). Our series began with a look at your first meals onboard the ship. That typically is at the ship's buffet. Later in the week, while soaking up some rays on deck, or in between shore excursions, you'll find yourself wanting a quick meal without having to go to a dining room and possibly not even to the buffet. Fear not, the cruise lines have you covered. On the majority of ships, you'll find one of more locations near the pool where you'll be able to grab a quick meal. Typically you'll find made to order items like burgers, hotdogs, chicken, and pizza. On some ships, like the Allure of the Seas, you'll find some upscale fast food places on the promenade or elsewhere on the ship for your dining pleasures. You can get your favorite shake and burger from Johnny Rockets on Allure of the Seas for example. There may be cover charges (which are extra gratuities) in some dining venues. In the mood for some comfort food like mac 'n cheese, chicken pot pie, fish 'n chips? 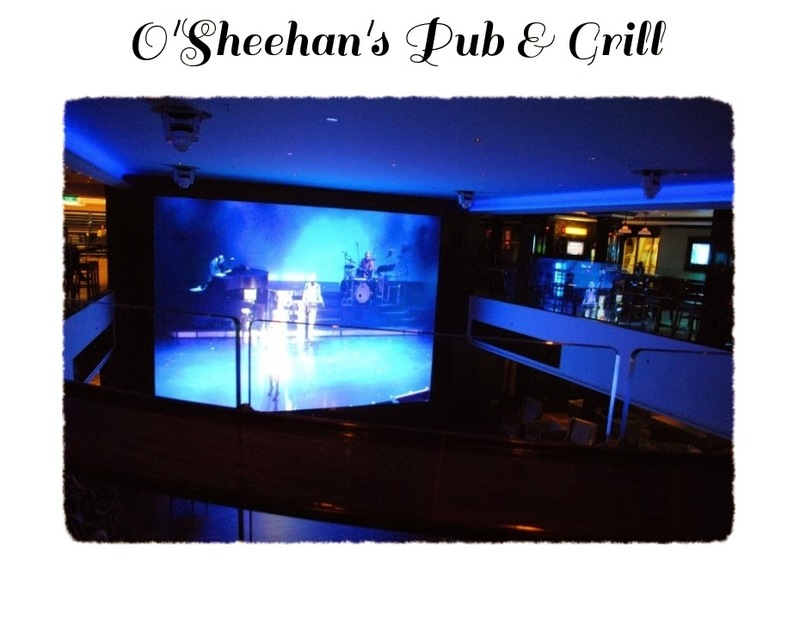 You may find those on the buffet or there may be another dining venue,such as O'Sheehans Bar & Grill on several Norwegian Cruise Line ships, which serves a selection of items to satisfy your cravings. There are many choices onboard each ship to satisfy lunch, dinner, afternoon or evening snacks. Consult the daily paper for details about what options you have. 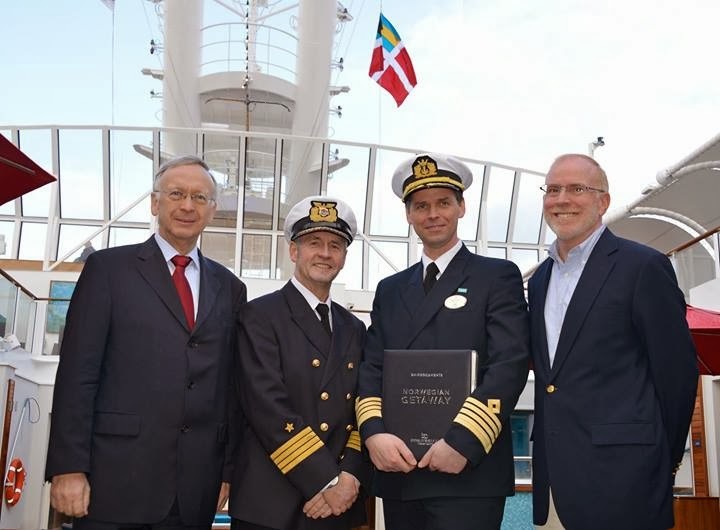 Honors goes to Norwegian Cruise Line as it took delivery of Norwegian Getaway from MEYER WERFT in Bremerhaven, Germany today. The 145,655 gross ton cruise ship, second in the Breakaway Class ships, took only 15 months to be built by the German shipbuilder. 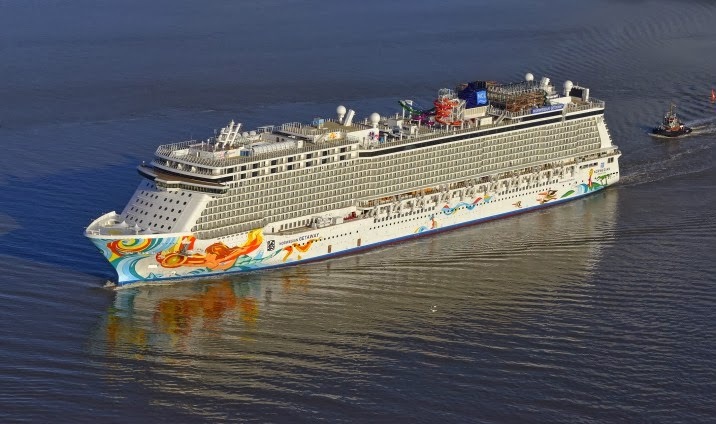 Norwegian Getaway is now sailing to Rotterdam for the start of inaugural festivities which will continue in Southampton before the ship departs for her transatlantic cruise to New York, where she will meet her sister for the first time. The ship will be christened in Miami, her home port, on February 7. Congratulations Norwegian Cruise Line and MEYER WERFT on an amazing new vessel. Having sailed on Norwegian Breakaway last year, we are certain this will be an excellent addition to the fleet. The Department of State continues to warn U.S. citizens that the level of crime and violence in Honduras remains critically high. UPDATE: Subsequent to this article, a family of five - passengers on Carnival Conquest, were robbed at gunpoint. See Passengers Robbed Honduras for complete details. Tourism is a large portion of Honduras economy, with cruise lines continuing to stop there even in light of the State Department warnings. The Honduras government has increased police presence and established special police forces in areas frequented by tourists, such as the Copan Mayan ruins and Roatan. The travel warning suggests that tourists be vigilant and travel in groups of two or more. That is practical advice for any destination, even here in the states. The warning states "It is also advisable to avoid wearing jewelry and carrying large sums of money or displaying cash, ATM/credit cards, or other valuables. U.S. citizens should avoid walking at night in most areas of Honduras or walking alone on beaches, historic ruins, and trails." For more detailed information regarding personal security, please see the State Department's Country Specific Information for Honduras. For the latest security information, U.S. citizens traveling abroad should regularly monitor the Bureau of Consular Affairs’ Web site, where the Worldwide Caution, Travel Warnings, and Travel Alerts can be found. Consult our International Travel page for more links that are useful when traveling abroad. The Texas Alcoholic Beverage Commission (TABC) has begun collecting personal importation taxes on alcohol and cigarettes from passengers returning from cruises in Galveston as of this month. If you purchase liquor or cigarettes during your cruise, you may have to pay importation taxes when you return to port in Galveston. It doesn't matter if you purchased the items on board the ship or while in one of the ports of call. According to the press release issued by the TABC, Section 107.07 of the Alcoholic Beverage Code, in effect for over 40 years, requires that each adult (21 years old and over) importing alcoholic beverages into the state for personal consumption pay the state tax and an administrative fee of $3.00. The law limits personal importation by an adult to once every 30 days with limits of: 1 gallon of distilled spirits, 3 gallons of wine, and 288 ounces of malt beverages (24 12-ounce containers). Persons importing alcoholic beverages must personally accompany the product as it enters the state. View the detailed list of the taxes for both cigarettes and alcoholic beverages. TABC operates several collection points along the Texas / Mexico border but Galveston is the first seaport to set up shop for collecting the taxes. Plans call for the port of Houston-Bayport later in the fall of this year as well. Once passengers clear U.S. Customs, they can pay the tax to TABC personnel via cash or credit card. The agency says they have worked with port officials to make sure the process doesn't disrupt port operations. Note that these taxes are in addition to any tax imposed due U.S. Customs. For more information about allowances, see the U.S. State Department website (Customs Duty Information). When the weather at home is cold and snowy, travelers take to the seas to get out of town and head to somewhere warm. 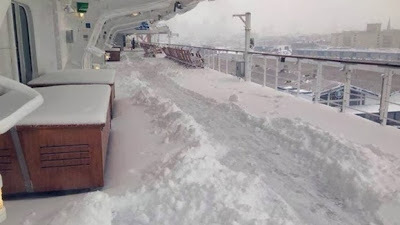 Imagine the surprise to Cunard Line Queen Mary 2 passengers as they embarked their ship in New York on January 3rd and found the scene above. Queen Mary 2 arrived in New York ahead of schedule in order to avoid the worst part of the storm. She didn't sail until after midnight to allow sufficient time for passengers to embark the vessel. According to the line, the ship is still expected to arrive in Southampton, England on time January 10th. A warm greeting to all my faithful readers and to those of you joining for the first time. I wish you many happy, healthy and prosperous days in this brand new year. May the year be filled with many sunny days, warm ocean breezes, visits to cruise ports, and relaxing days aboard a cruise ship or at your favorite resort. In the upcoming months, several cruise lines will be introducing new ships. Norwegian Getaway, sister ship of Norwegian Breakaway, will launch this month and sail out of Miami. Regal Princess, sister ship of Royal Princess, will debut in May. Royal Caribbean's first in a new class, Quantum of the Seas will launch in November. All of these ships will introduce new dining and entertainment options for cruise passengers. These new ships add capacity to these cruise lines and give you additional options. Besides new ships, existing ships are getting face-lifts with new features being added, primarily based on passenger feedback and acceptance of the features on recent ship builds on the same or other cruise lines.The Carnival Sunshine is just one example of the changes being made to enhance passenger experiences. Just like picking a hotel room for a land-based trip, you can also apply your preferences to the cruise ship, which will serve as your floating hotel. Some people prefer small ships, while others only sail on the newest and largest vessels. With the increasing number of ship modifications and additions, we are confident that your want list can be satisfied. We can help you narrow the field to those ships that meet your needs. On the Allure and Oasis of the Seas, there are over 37 different cabin categories to chose from - we will help simplify your selection. What is on your bucket list of destinations or cruise ships? Is 2014 the year you plan to complete a trip from that list? Whether it's a far away exotic destination like Asia, Australia, and the South Pacific or something close-by like Bahamas and the Caribbean, you'll find a cruise ship sailing to your ports of call of choice. It's that time of year to make New Year resolutions. Some of you will decide to make changes in your lifestyle which will improve your health - such as healthy eating or exercising. For those that haven't been on a cruise before, that doesn't mean you have to forgo your trip. There are full-service spas and fitness centers on most cruise ships and healthy menu choices available throughout the day. Cruise lines will be happy to accommodate any special dietary requirements - just be sure to tell your cruise specialist at the time of booking so that notes can be put on your reservation. We hope that you add a resolution to take some time for yourself to regenerate. Plan some vacation time on a cruise ship or at one of the many resort destinations. Sign up for our newsletter to be notified of special offers in the upcoming months.